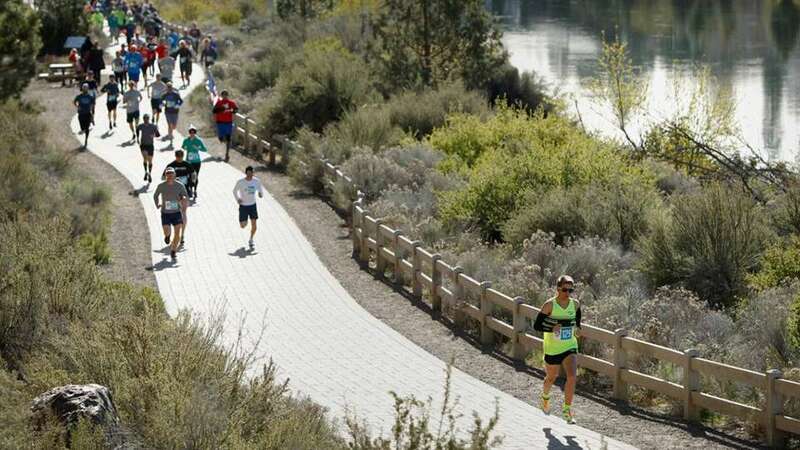 The Bend Ale Run Half Marathon and 10K blend the beauty of Central Oregon and Cascade Mountain beauty along with the vibrant local craft beer industry for this fun filled fall run. The event starts in the picturesque Northwest Crossing on the west side of Bend and takes runners up into the Cascade Range foothills where sweeping views of no less than 8 major volcanic peaks can be seen. The course is a mix of asphalt and quality gravel roads for the Half Marathon and paved roads and trails for the 10K. Upon finishing the event participants are greeted with a tremendous catered lunch, awesome finisher’s medal, music, and free beer, pint glass, and ticket to the Bend Ale Festival located just steps away from the finish line. The Bend Ale Festival is host to 20 breweries and over 40 craft beers on tap. Stay and enjoy great company, warm fire pits and a number of music acts as you reflect on accomplishing this scenic run. Run for the Ale of it!